The Kinected Box People project is an installation I made whilst working at Metropolis. 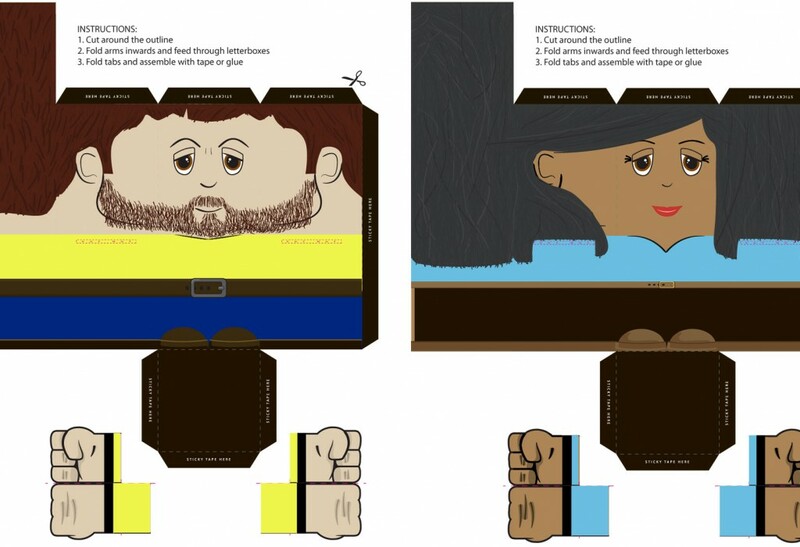 A marketing effort sent out paper construction models of staff members to clients. I noted that the construction models rather resembled a ‘texture map’ used to texture 3D models in games. 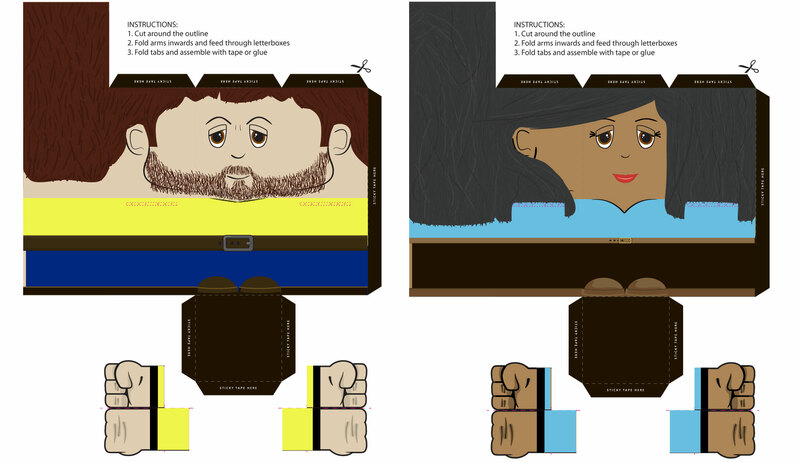 This idea was further developed into making an application that could read the construction paper models and display them. 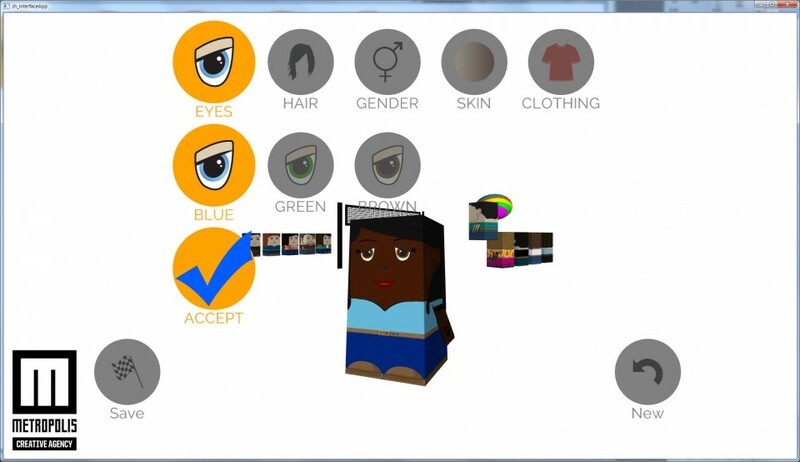 The final application was developed into an interactive application that provides a menu for changing various options on the models, such as gender, hair style, color, bears, clothing and skin colour. 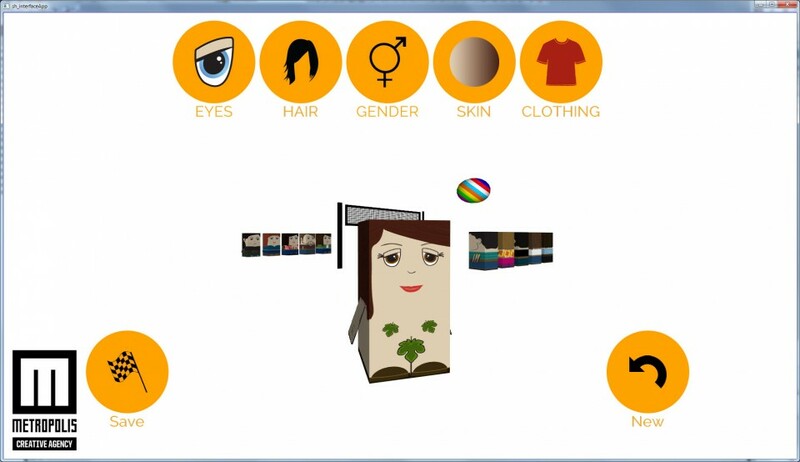 The application’s interface was operated by motion detection using a Microsoft Kinect. The user stands in front of the TV and uses a hand to drive a cursor. 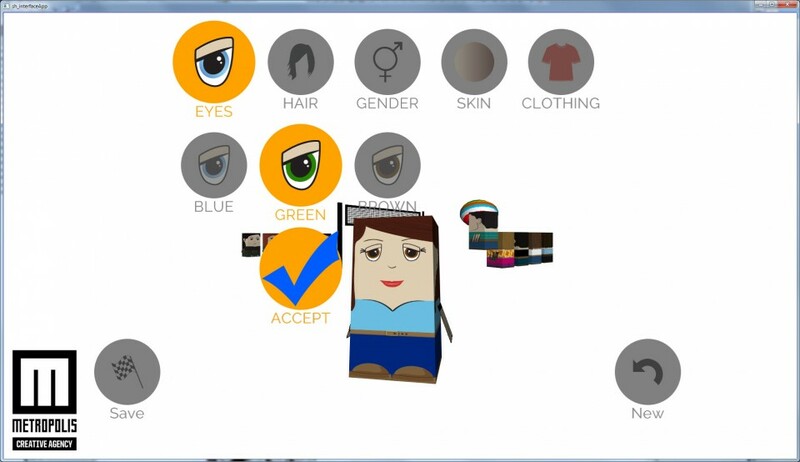 To handle the lack of ‘click’ for selecting, a menu interface was developed that uses spacial nodes to make menu choices. 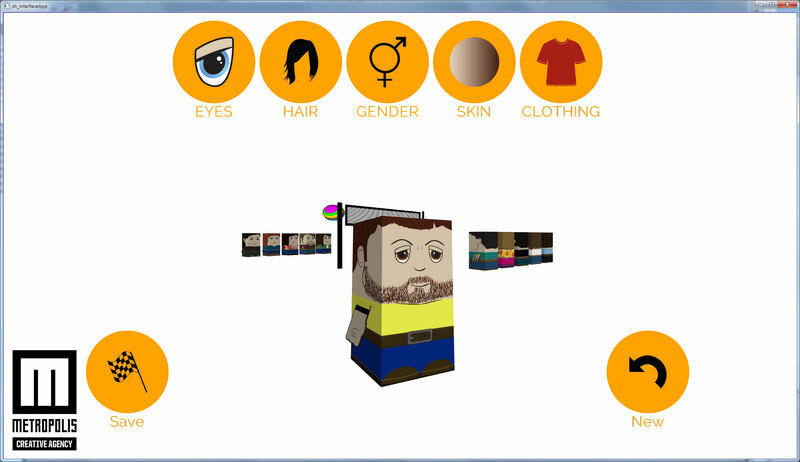 The application was written in C++ using Lib Cinder, OpenGL, and the Microsoft Kinect SDK. The application was shown at a couple of the Metropolis Sessions nights in September and October.